To be scrapped, ran aground 1947. H.M.S. 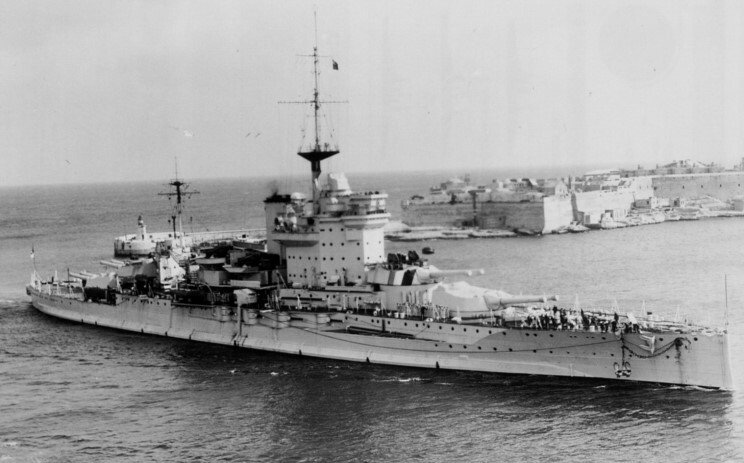 Warspite as she arrives at Valletta's Grand Harbour, Malta.